I always thought that having a brunch on sundays was very British. That was before my English flatmate asked me if I wanted to go for a sunday roast! Surprisingly, the British are used to go to a pub and have a roasted meal for lunch. So what is a sunday roast?! The dish is composed of roasted meat (generally beef, chicken or pork) with gravy and roasted vegetables. Common traditional accompaniments such as yorkshire pudding, stuffing or redcurrant jelly can be served with the rest. Of course, the plate content varies from one pub to another so you can find different types of meat and vegetables as well. 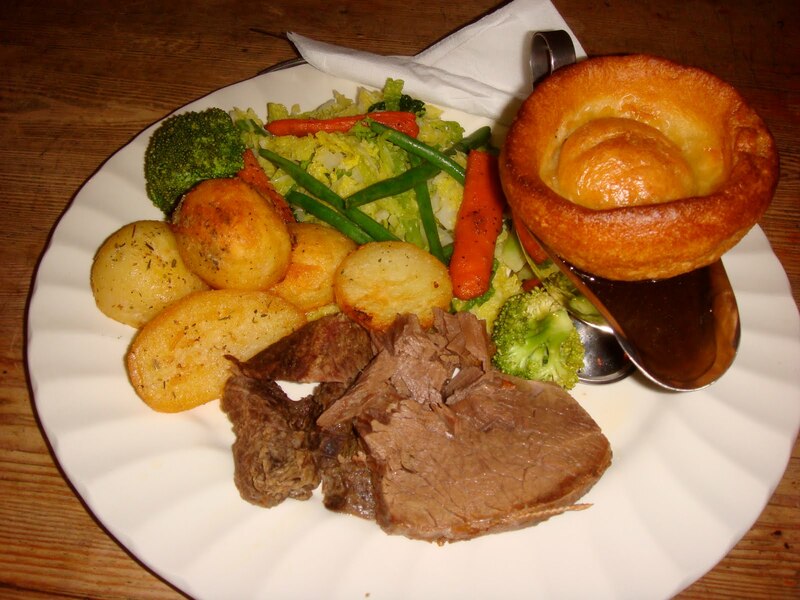 For the anecdote about the Sunday Roast origin, people say that during the industrial revolution, Yorkshire families left a piece of meat in the oven before going to church on a Sunday morning, which was then ready to eat by the time they arrived home at lunchtime.